Publicis Groupe's net revenue grew organically by 1.6% to €2.1bn (£1.8bn/$2.6bn) thanks to account wins in 2017 that included McDonald's and Diesel. This presents a stronger start to the year than in 2017 when the group reported a net organic loss of 1.2%. In August last year, McDonald's awarded its digital innovation account to Publicis.Sapient and Capgemini, while Publicis Italia captured Diesel's global creative account in the same month. Regionally, chairman and chief executive, Arthur Sadoun credited the US and Europe with delivering "satisfying" results. Sadoun said: "The good news came from North America which grew 2.8%. It is satisfying to see the good dynamic of 2017 continue into 2018, particularly in the region where our transformation is the most advanced. Another source of satisfaction is Europe with 0.3% growth despite the fact that the comparable period was very difficult." However, in reported growth terms, the group's net revenue was down 8.2% from €2.3bn in 2017. This, explained the group, was due to unfavourable exchange rates weighing €217m on the balance sheet. Further, acquisitions cost €1m due to the deconsolidation of Genedigi. Speaking to Campaign this morning, Sadoun would not identify any one area of the business where he expects to see growth above the others, but stressed: "Where we see growth coming from is where we are positioning ourselves as agents for transformation, harnessing the right specialisms from across data, creative and tech to help our clients transform, that is when we're seeing real growth." He would not be drawn on the saga over at rival WPP sparked by the resignation of its leader Sir Martin Sorrell. "I do not know Martin but I went to see him in Cannes last year and I said 'you know you can say whatever you want about me or about Publicis Groupe, but you'll never hear a bad word from me on WPP or yourself because I think it's bad for the industry', and I've stuck to that," Sadoun said. 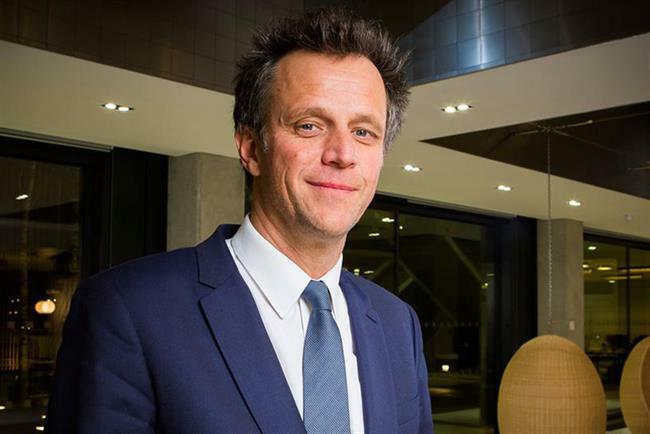 Asked if he thought there would be any benefit for Publicis from the WPP drama, he added: "It's important to put it in the broader perspective of the succession and transformation that any holding company has to go through now; we have transformed faster than some others and we have seen growth from that, but it's been guided by talking to our clients and listening to them." In reported growth terms, net revenue in Europe dropped 0.8% to €619m, while organic growth was 0.3%. Within the region, the UK and France showed growth at 1.3% and 2.3% respectively. Germany and Italy, however, both shrank at (-4.1% and -9.7% respectively). North America posted organic growth of +2.8% for Q1 2018, but a reported growth of -10.8%. Asia-Pacific reported growth of -16.4% and organic growth of -4.6%. The negative performance can be mainly attributed to Australia (-11.6%) where the Qantas call centre contract was discontinued. China performed satisfactorily, returning to positive growth (+1.1%) despite the impact of accounts lost. Singapore rose by +10.2%. Latin America reported growth down 6.5% but organic growth of +11.5%. In Brazil, net revenue progressed by 11.3% thanks to the gain of the Petrobras and Bradesco accounts. Mexico continued to record sustained growth (+6.2%). The Middle East & Africa region reported a decline of 6.8% but increased by +4.8% on an organic basis. Sadoun was confident about the group's next results thanks to global wins in the first quarter: Mercedes-Benz, Carrefour, Campbell's and Marriott. He also credited strong local wins Red Bull in the US and Kraft Heinz in China. These wins, the financial statement said, should place Publicis Groupe in a position to post higher growth than in 2017. In terms of long-term growth, the group believes its investments will take it out of the "low-growth cycle that has characterised the industry for several years". To improve its margins, the group will pursue "major cost savings" with a €450m cost savings plan as part of its "Sprint to the future" strategy. The part of the funds saved via this plan will fund a €300m operational investment plan spanning 2018-2020 that is primarily dedicated to the group's talent through hiring, training, development and re-skilling. "Overall, this first quarter was satisfactory, in a continuously changing industry and when we still have a lot to achieve in order to deliver the performance that can be expected from our ambition," Sadoun concluded. "Our Q1 performance gives us confidence in our ability to reach our objectives for this year, i.e. to improve our organic growth and our operating margin rate compared to 2017. Nevertheless, we are all aware of the various challenges our sector is facing and therefore we remain cautious and focused on the execution of our plan."